The wish to help others brought the three ROKPA Founders together in a synergy – Dr Akong Tulku Rinpoche, Lea Wyler and her father, Dr Veit Wyler. Lea Wyler first met Akong Rinpoche in 1972 in the Tibetan Buddhist Centre Kagyu Samye Ling in Scotland; this marked the beginning of an unusual relationship. In 1979/80 Lea Wyler was permitted to go on a pilgrimage with Dr. Akong Tulku Rinpoche and others to India and Nepal (The Tibetan areas were not open for visitors at that time). She was deeply moved by the sight of countless street children barely surviving without regular meals, dressed in rags, with no roof over their heads and without care or any prospects of education. This sparked the deep motivation of abandoning her career as an actress and taking on the task of supporting those who have nothing. She then requested Akong Rinpoche to help her in this venture. This coincided with Rinpoche’s own commitment to help wherever help is needed. Together with Lea Wyler's father, the Zurich-based lawyer Dr Veit Wyler, they then together founded ROKPA in Zurich, Switzerland, where its Headquarters are still based. One of the leading Tibetan lamas who had to leave their homeland in the 1959 Cultural Revolution, Dr Akong Tulku Rinpoche stands out for the extraordinary breadth of his commitment to his native country. Born in 1939 in the east of the Tibetan areas of China, from the age of four he was acknowledged as the reincarnation (Tulku) of the first Akong, a holy lama and physician, and was trained to become the Abbot of Dolma Lhakang. 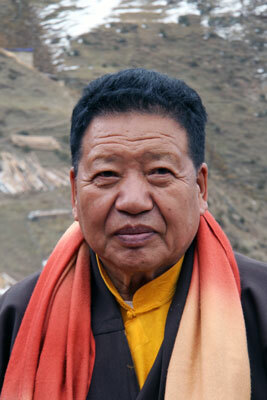 At nineteen, Dr Akong Tulku Rinpoche completed his religious training as a lama of the Karma Kagyu and Nyingma schools. His most important teachers were HH 16th Gyalwang Karmapa and HE Jamgon Kongtrul of Shechen. He was also trained in traditional Tibetan medicine. Together with three hundred Tibetans, he fled to India in 1959. Under the impact of this terrible experience – only thirteen survived –, Dr Akong Tulku Rinpoche resolved to help people suffering from poverty, sickness, fear and psychological torment. With Chögyam Trungpa Rinpoche he founded the “Kagyu Samye Ling Tibetan Centre” in Scotland in 1967, the first Tibetan Buddhist teaching centre in the West. Across the world there are now twenty one branches (Samye Dzongs). In 1983, Dr Akong Tulku Rinpoche returned for a short time to the Tibetan areas of China, where he encountered abject poverty, lack of education opportunities and environmental problems. He immediately began to plan and implement aid projects to help the Tibetan people to learn to help themselves. His efforts were also devoted to breathing new life into their language and culture. months every year Dr Akong Tulku Rinpoche travelled through the Tibetan areas of China to visit over 120 ROKPA projects. On 8th October 2013, just before another trip to the projects, Rinpoche died as the victim of a violent criminal assault in Chengdu, China. Dr. Akong Tulku Rinpoche was married to a Tibetan and leaves four children. Actually Lea Wyler’s original ambitions were very different to what they would become, but the shock of the untimely loss of her mother lead to a complete change in the life of the successful Swiss actress. She remembered the words of the high Tibetan Lama, doctor and meditation master, Dr. Akong Tulku Rinpoche who gave her advice during a trip together through India and Nepal in 1980: “the best way of helping yourself is to be involved in solving the needs of others”. Encounters with a blind youngster, a beggar crippled by leprosy and an old woman racked by hunger were key experiences that culminated in a split-second awareness of what she wanted to do with the rest of her life. She wanted to offer humanitarian help in Nepal, India, later also in the Tibetan areas of China, and wherever else necessary. Once back home in Zurich, Lea established ROKPA together with Dr. Akong Tulku Rinpoche and her father, the lawyer Dr. Veit Wyler. The motto of this relief organization is to "help where help is needed”. Since that time, the commitment by Lea and Dr. Akong Rinpoche has produced ROKPA projects worldwide. 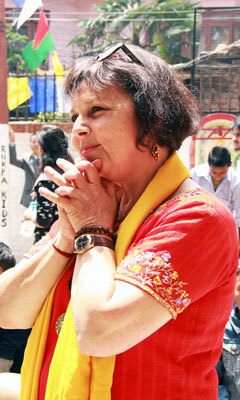 Lea Wyler established a home for former street children in Nepal, and is known there as ‚Mummy Lea’. She also initiated a Women’s Workshop and started a Soup Kitchen in Kathmandu that during winters provides eight hundred meals for the needy per day. In Tibetan areas of China, she and Dr. Akong Rinpoche have arranged for schools, orphanages and clinics to be built, organized medical training projects, restored a nunnery located at five thousand meters and supported reforestation projects in the highlands. Lea Wyler travels to the two regions in the Himalayan mountains for a few months every year. Once on site she inspects the projects in progress and set up new ones. Since ROKPA's inception in 1980 hundreds and thousands of people have received medical aid and over a million in distress have been provided with food. She is supported by a growing team of voluntary helpers, with the result that the administrative costs are kept to a minimum. Born in the Swiss town of Baden in 1908, Veit Wyler studied law at the universities of Hamburg, Berlin and Leipzig. His stay in Germany coincided with the Weimar Republic, which had a lasting effect on him. After graduation, he returned to Switzerland, and at the age of twenty-two became one of the country's youngest solicitors, establishing his own law office in Zurich. During World War II, Veit Wyler was garrisoned as a soldier in the Grisons (Swiss Alps). There he experienced how, in their attempt to reach Switzerland over the mountain passes, Jewish refugees were intercepted by the Swiss armed forces, put into prison and then sent back over the frontier, often to their death. He provided many of these despairing fugitives with passports and visas and organized adventurous escapes so that they could continue their journey to safe countries and thus be saved. Veit Wyler was frequently disciplined for his actions, but he saved many lives, unflinchingly. He responded to each and every request for help without question or waiting for the agreement of the Swiss authorities. Furthermore he pleaded in court on behalf of many people who risked being imprisoned for aiding and abetting escape attempts. Veit Wyler was also committed to the Zionist ideal. 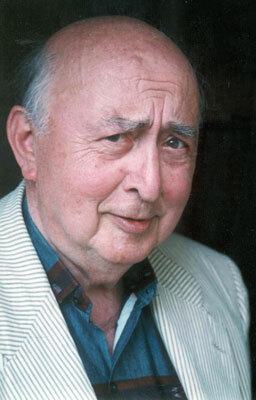 In 1948, he founded the monthly journal “The New Israel”, which he published for almost forty years. In addition, he held quite a number of offices and functions, including being President of the Swiss Alliance of Zionists, and was an active member in the committee of the Jewish Community of Zurich and the Swiss Federation of Jewish Communities (SIG). As one of the leading Jewish trustees, he was awarded many decorations and distinctions abroad, including the honorary doctorate of the Weizmann Institute in Rechovot/Israel in 1980. When, upon a long journey to the Himalayan regions in 1980, his daughter Lea saw the misery of the local population and confronted her father with the idea of founding an international relief organisation, he did not hesitate to back her in every respect. He assisted her and ROKPA anytime and unconditionally with legal advice and financial means until his death in 2002.